Hello, and thank you for clicking on my page! 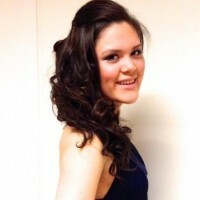 My name is Helene and I’m a student at Skagerak International School. I’m in a CAS at said school, and we as a team have made a decision to do this marathon. Now, this is not because I enjoy running. In fact, I am no runner at all, but the urge to want to help these children who all have serious illnesses, makes me want to do this. By running in this marathon and participate in this charity, we will help these children to actually feel like a normal child at least for a while. You can also be a part of this! By sponsoring me, we’ll make a difference together. The money raised by my team and I will all go directly to the organization, and they’ll have an amazing camp for the children who dearly deserves it.